Fischertechnik is a building block system invented in 1964 by Professor Artur Fischer of Germany. Fischertechnik sets can be combined with additional sets from the range. The company continues to produce toy engineering kits to date. France. 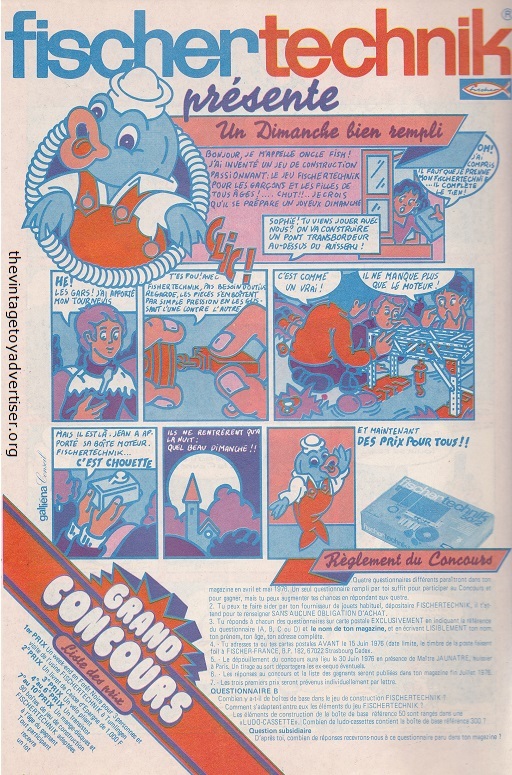 Pif Gadget 373. 1976. 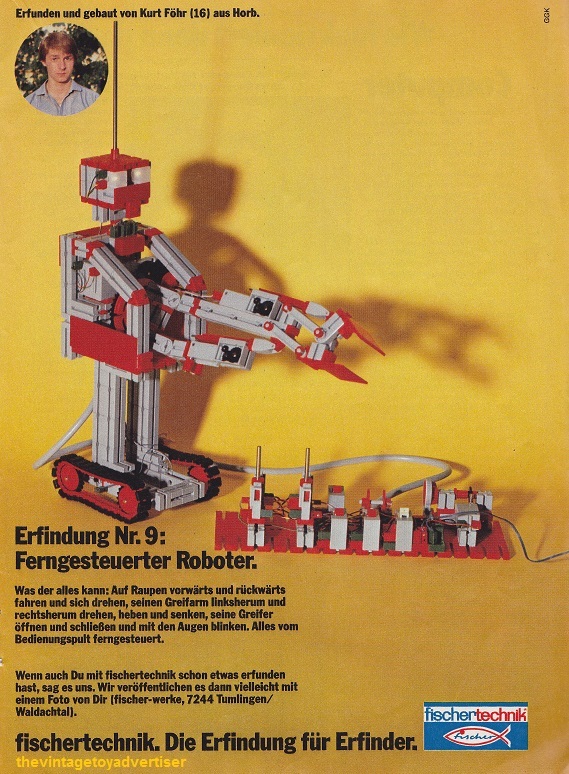 This entry was posted in Fischertechnik and tagged 1970s toys, 1980s toys, Artur Fischer, Fischertechnik, German toy engineering kits, nostalgia, retro construction toys, thevintagetoyadvertiser.org, vintage toy advertising, vintage toy adverts, vintage toys on November 18, 2013 by The Vintage Toy Advertiser.